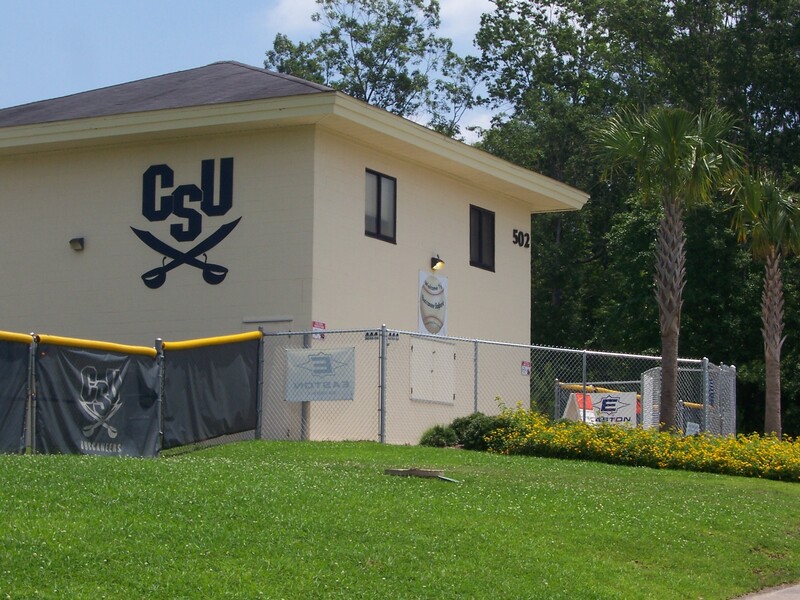 CSU Athletic Field – Charleston Southern University in North Charleston, SC. This s a commercial chain link fence – 6′ high around their athletic house. AAA Fence has done renovations and installs at Charleston Southern University on their baseball and softball fields – including backstop netting, dug outs and perimeter fields.